Utah is joining more than 30 other states in legalizing medical marijuana after the governor signed a measure into law on Monday. 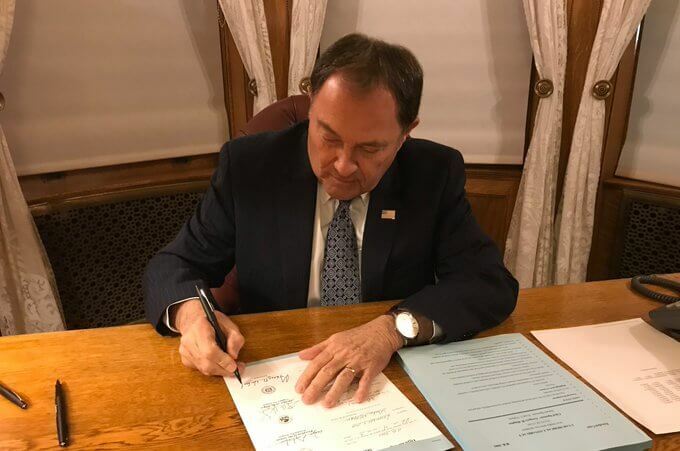 Governor Gary Herbert (R) signed the Utah Medical Cannabis Act into law after state legislators made changes to a pro-medical marijuana bill that voters approved by ballot last month. While the initial bill allowed edibles and permitted people to grow their own marijuana, the revised bill scrapped those two provisions. It also reduced the list of eligible medical conditions that can use the medicinal drug. The act has been criticized for making it too hard for patients to obtain the drug. It permits only seven so-called cannabis “pharmacies.” Smoking marijuana is also not allowed, with the drug instead required to be in a tablet or capsule, an oil, topical lotion or a gelatinous cube. Connor Boyack, a leader of the pro-medical marijuana group, Utah Patients Coalition, praised legislators for passing the act, though said he wishes the initial Proposition 2 measure hadn’t been changed. “I operate from reality and not fantasy,” he told NPR, adding he wasn’t surprised that it was amended, even after public appeals during a recent hearing. “The Legislature has the full authority to repeal an entire ballot initiative if they wanted to. 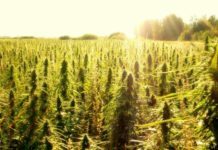 That’s kind of why we entered into these negotiations in anticipation of their trying to gut what we had done in Proposition 2,” he said. 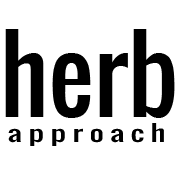 “Working with trained medical professionals, qualified patients in Utah will be able to receive quality-controlled cannabis products from a licensed pharmacist in medical dosage form. And this will be done in a way that prevents diversion of product into a black market,” Herbert said in a statement. “This is an example of how collaboration makes Utah the best-managed state in the nation. 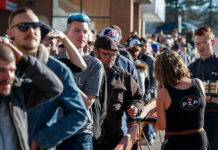 The influential Church of Jesus Christ of Latter-day Saints, whose followers make up the state majority, expressed support of the legalization in October after initial opposition over concerns that it could lead to widespread marijuana use. Missouri has also passed a measure that legalizes marijuana for medical purposes. Michigan this week became the first state in the Midwest to allow recreational use and 10th state in the nation to allow marijuana for more than just medical purposes following a vote last month. Voters in North Dakota rejected a measure that would have legalized recreational marijuana. 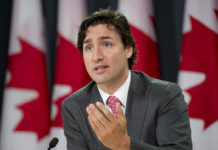 Will Tourists Flock to Canada for Pot?